Building credit at 18 is a smart move. Most people don’t put much thought into their credit scores until the time comes to apply for a loan or credit card. But building credit is important to prioritize, even at a young age. Your credit score can impact several aspects of adult life, including the ability to borrow money, buy things on credit, and secure better rates on insurance, loans, etc. It can even be a deciding factor in hiring you for a potential job. Credit doesn’t have to be scary or intimidating. In fact, at its core, it’s simply a mathematical calculation that helps predict whether or not creditors can rely on you to pay outstanding debts, both now and in the future. The longer your credit history, the more information creditors have to base their predictions. Since credit is established over time, it’s best to get started as soon as possible. If you haven’t already, opening a checking or savings account and help get you started on the right foot. In today’s digital world, making payments and transferring money without the help of a bank account can be unnecessarily difficult. Many people choose to open both a savings account and checking account in order to keep their money in separate buckets; money used to pay off credit cards or other debt goes into your checking account, while money for a rainy day fund or investing gets funneled into savings. How it helps to establish credit: Bank accounts make it easier to make payments and transfer money while building credit. One of the most common ways to establish credit for the first time is to start using a credit card. By using a limited credit line responsibly, building credit comes naturally over time. The caveat – and it’s a big one – is the importance of paying off your balance in full and on time every single month. No exceptions. Treat your credit line as an extension of your bank account; if you don’t have the money, don’t put it to your credit card. How it helps to establish credit: As you use and pay off a credit card, creditors can begin measuring how responsible you are with the credit line that’s been extended to you. For example, if your credit limit is $500 and your monthly charges regularly come in under the limit with payments made in full and on time, the likelihood of your credit line going up increases, as well as your credit score. Being added as an authorized user to an account held by a trusted parent or guardian can help boost your score, as long as the account has a long payment history of on-time payments with a low balance. Also, good to know: just because you're an authorized user doesn’t mean you need to carry a credit card to the account on you; you just have to be listed on the account. How it helps to establish credit: Becoming an authorized user can help boost your score by piggybacking off of a parent or guardian's established credit history. Another way to building credit without a credit card is to establish a loan in your name – perhaps a student loan or car loan – and paying off as soon as possible. Being liable for a loan demonstrates how you deal with paying back debt owed to creditors. Start on the right foot by committing to make regular, on-time payments for the duration of the loan. How it helps to establish credit: By taking out a loan in your name and paying it back responsibly, you’re proving to the banks that they can trust you to pay back the credit line extended to you. Also, by doing so, you’ll end up paying less interest overall on the loan. Bonus! While building credit is based on several factors, showing creditors that you’re able to handle the credit lines extended to you in a responsible way can have a major impact on establishing your credit. Whatever method you choose, be committed to making payments on time and in full on a regular basis. The best way to raise your credit score is to understand the biggest factors that determine your score and become diligent about doing the things that have the greatest impact. Credit scores can range from 300 to 850, depending on the reporting agency. The higher the number, the better, with “Excellent” credit categorized as 750 or higher. Payment history is the biggest factor and thankfully, the easiest to control. By proving you’re capable of paying bills on time, you’re showing borrowers how responsible you are. Consistently making late payments or not paying at all are red flags to borrowers, and you may have a difficult time being approved for future lines of credit. Your credit utilization ratio is the percentage of available credit in use. So, let’s say you have $1,000 in available credit across two credit cards. Ideally, you’ll want to keep utilization to 30% or less to raise your credit score. If you find yourself hitting the credit limits regularly – even if you pay in full each month – it could cause a setback to your score. The length of your credit history also factors into your credit score. At 18, you won’t have much control in this area but it’s a big part of why you should get started as soon as possible. Aged accounts have a longer track record making them more ideal for borrowers to work with. Unfortunately, it’s not something that can be rushed. Tip: Closing accounts, such as a credit card account, negates that part of your credit age. Protect the length of your credit history by keeping accounts open. 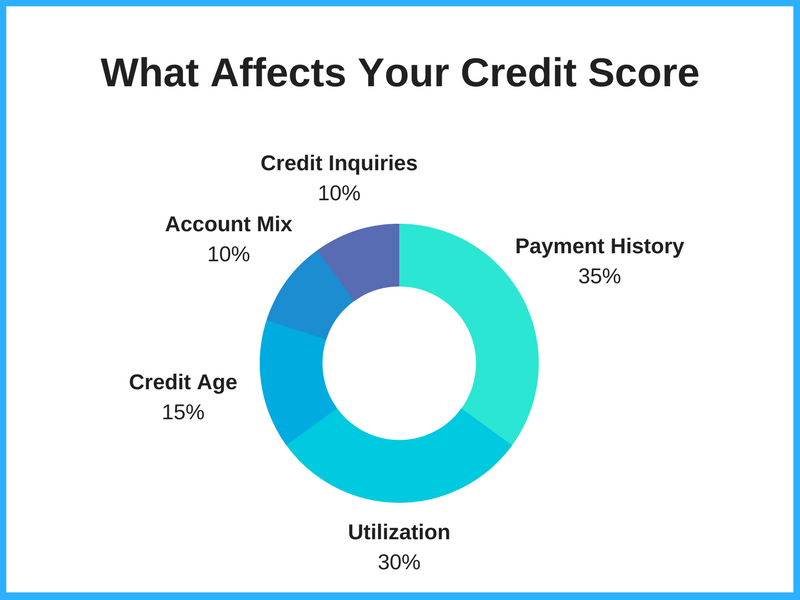 The mix of accounts on your credit report also plays a role in your score. Not all accounts affect your score in the same way; there are differences in having credit card debt, student loan debt, auto loan debt, etc. Having a diverse portfolio helps establish you as a reliable consumer, as long as you’re keeping up with payments on each one. The number of inquiries to your account also factors into your score. When you take out several lines of credit at once, your score can be affected negatively. While it may or may not be true, this behavior sends a signal to creditors that you rely heavily on borrowing and may have a difficult time paying it back. To build your credit in this area, space our opening new credit accounts over time and never open accounts you’ll be unable pay back. Do you have to be 18 to start building credit? Generally speaking, 18 is the perfect time to start building credit. If you're not quite 18 yet, however, you can still get started! 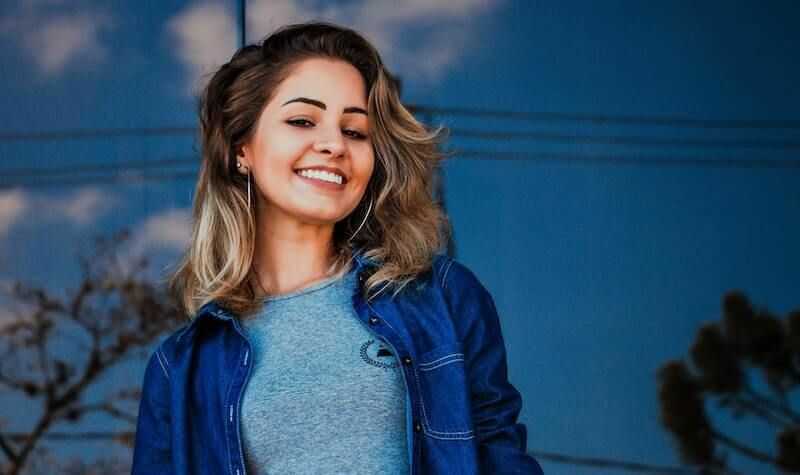 Most consumers begin building credit at age 18 and beyond but some youth do begin establishing credit at 16 and 17-years-old by checking their free credit report once a year and in some cases, being added by a parent or guardian as an authorized user on an account. There is no automatic default or baseline credit score, but most common credit-scoring models start in the low 300s. However, it’s unlikely your first score will be that low, in fact, many consumers’ beginning score falls somewhere between 500 to well into the 700s, depending on a variety of factors. Instead of guessing or assuming your credit score, the best thing you can do is pull your credit score and report for free to see for yourself. There are two types of inquiries that can be made on your credit; hard and soft pulls. Hard inquiries can knock a few points off your credit score, while soft inquiries do not. Checking your own credit score counts as a soft inquiry which means you can check it as many times as you like without any risk of hurting your score. Yes, when you turn age 18, you’re legally an adult and can apply for credit cards. Before applying, however, make sure you’re confident about being able to make on-time payments in full. Credit extended to you isn’t “free money” and will need to be paid back. By disciplining yourself from the start to always pay off balances on time, credit cards can be a helpful way to build credit. Building a high credit score takes time (even for older adults), but there are a few things you can do to potentially raise your score faster. Focus on the two largest factors: Payment history and credit utilization. Consistently making payments on time and keeping your credit utilization ratio low can go a long way in building credit quickly. You can take advantage of these heavily weighed factors by proving yourself trustworthy and responsible to borrowers. Pay off large chunks of debt at one time. If you’re able to make a large payment towards paying down debt, is can also help boost your credit score. Once paid, ask to have your credit limit increased to improve your credit utilization ratio. Building credit early on is one of the best ways to set yourself up for financial success as an adult. Starting at 18 is a great investment of your time and money and can potentially save you thousands of dollars in interest and other payment rates you may incur from having a lower credit score.